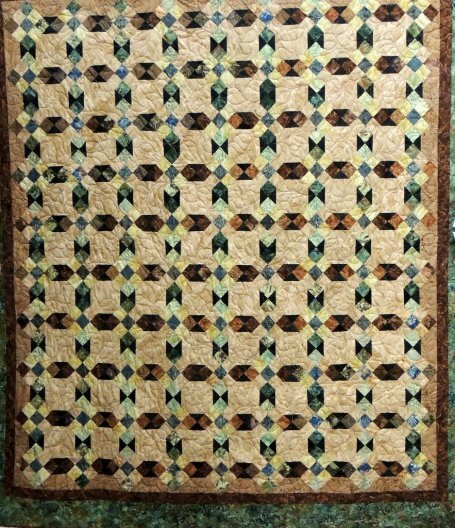 Inspired from the beauty of Montana and specifically the Flathead Valley where she was born and raised, Monique’s traditional hand-made quilts will complement your decor while keeping you warm and cozy. 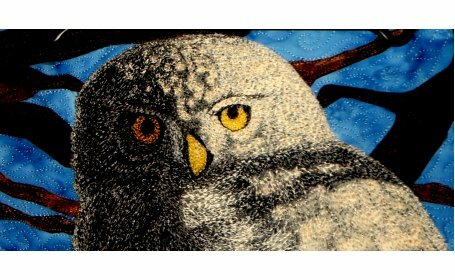 For a truly unique statement, Monique’s textile art will hang beautifully on your walls and offer you a window into the well-known and well-loved vistas of this area. 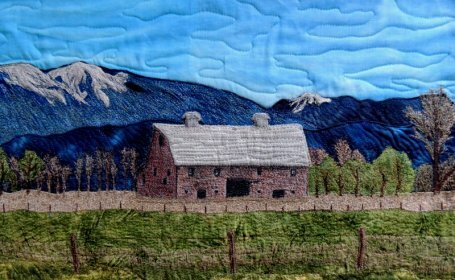 Layers of thread are used as paint to create realistic portraits of the gorgeous local landscapes and historic sites. The three-dimensional aspects of Monique’s art invite viewers to wander into the pieces – either to imagine the possibilities ahead or to preserve memories of a visit. 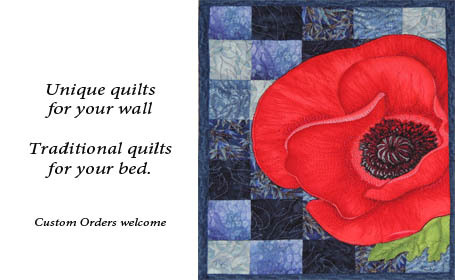 Be sure to look for her signature quilted greeting cards as well–a fun and different way to send greetings to those that you care about. Monique’s work is creative and original. I can not keep enough cards on hand. I want all my friends to have one. Oops! Time to order again! I highly recommend anything Monique makes. 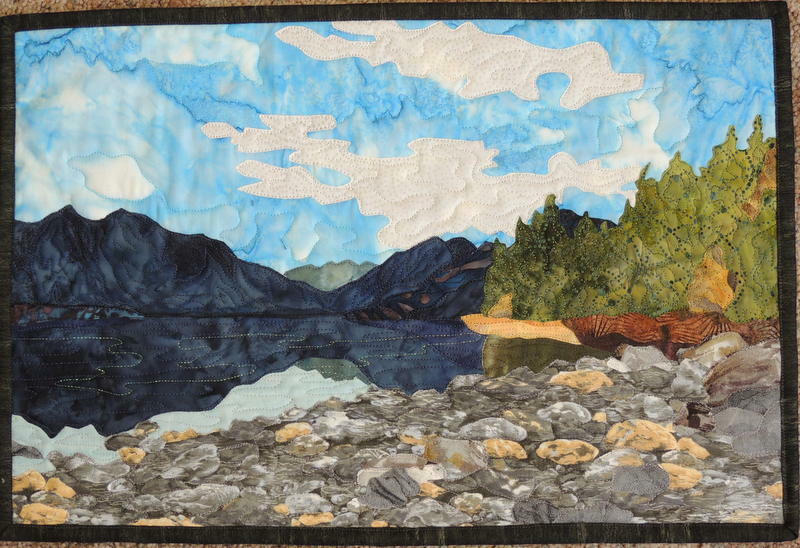 She puts her heart and soul into each piece of work – whether small or large. Thank you Nelia! So glad that you love to give my cards to those near and dear to you! Let me know if you ever want a specific theme or design. Thank you for your kind words and for your enjoyment of my work! I am so very lucky to have her work hanging on my walls and the cards are so special. What a joy to watch her grow as an artist. You have to check it out! I am blessed to have one of Monique’s pieces displayed in my office. When I have “one of ‘those’ days,” looking at her depiction of God’s creation is refreshing and helps bring peace to my soul. 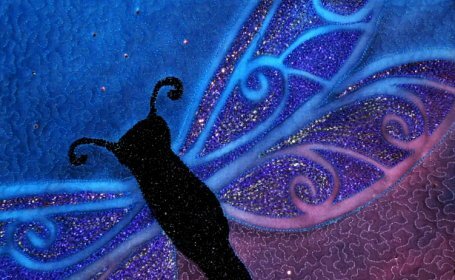 The depth and color she brings to each of her pieces is like music for the soul. I’d love to have more of her pieces for my house and to give as gifts! Her creations are like living art. With some pieces you can’t tell that you are not looking at a painting. Absolutely breathtaking creations.